Are you looking for a science program to teach students in Spanish? elevar las ciencias corresponds to Elevate Science for Grades 6-8. 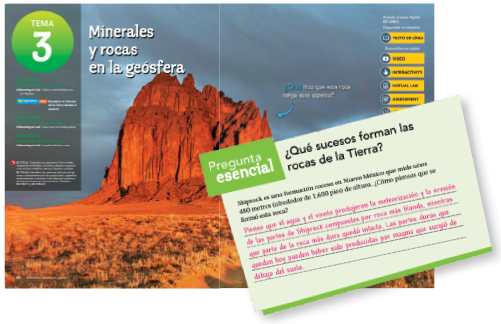 It helps you teach your state’s science standards and performance expectations to Spanish heritage speakers, bilingual students, and English language learners. 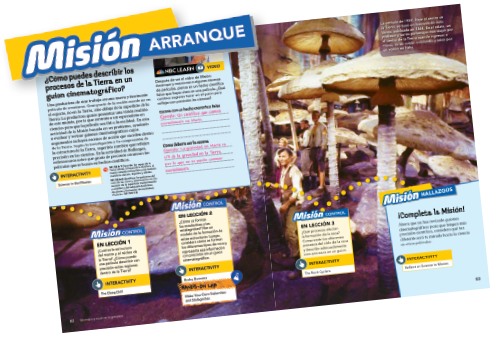 Anchor Spanish science lessons in phenomena, scientific and engineering practices, and real-world contexts. 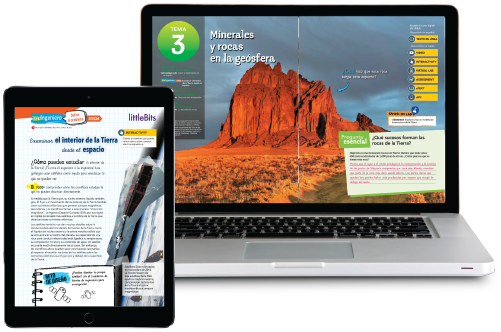 Parallel English and Spanish student texts are perfect for dual-language classrooms. Download the brochure to find out more. Students investigate phenomena and apply evidence-based argumentation and design solutions to science-related problems. Phenomena-based science in Spanish develops DCIs, SEPs, and CCCs. Hands-on, thought-provoking science encourages Spanish-speaking students to work like scientists and engineers. Guided and open inquiry projects apply scientific practices, modeling, and reasoning. Students use scientific and engineering practices to construct, model, design, and create real-world innovations. 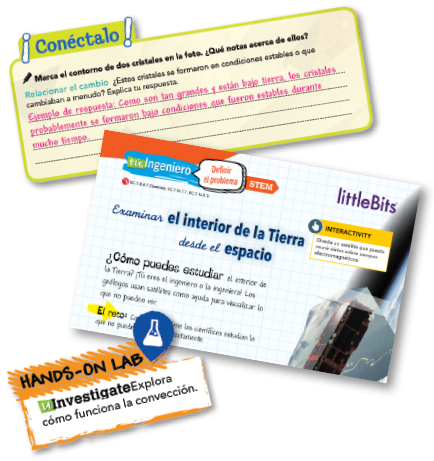 Add exclusive littleBits® electronic kits for greater STEM/STEAM awareness. PearsonRealize.com provides the full Spanish science program online. Access eTexts, lesson plans, lab worksheets, and next-gen assessments with a single sign on. Easily integrate NBC Learn videos and OpenEd resources or assign content to Google® Classroom.